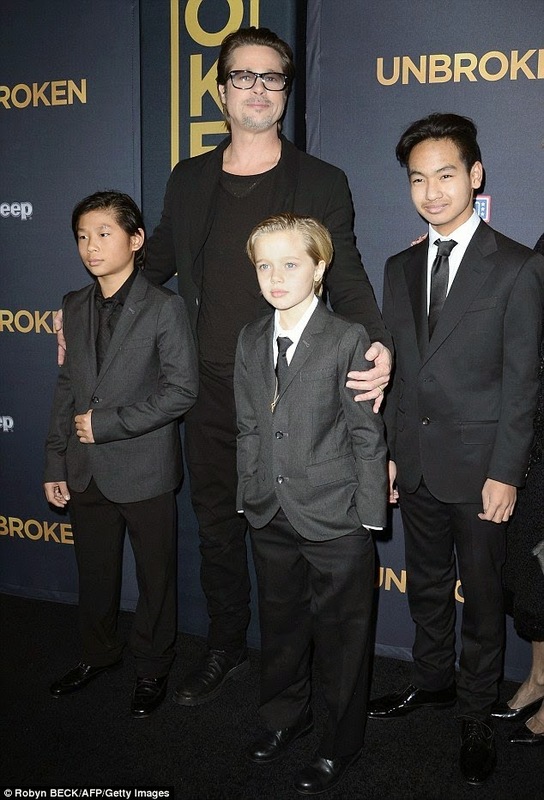 Shiloh Jolie-Pitt is the first biological daughter of Angelina Jolie and Brad Pitt, and looks almost exactly like her mother and has her father's blond hair. 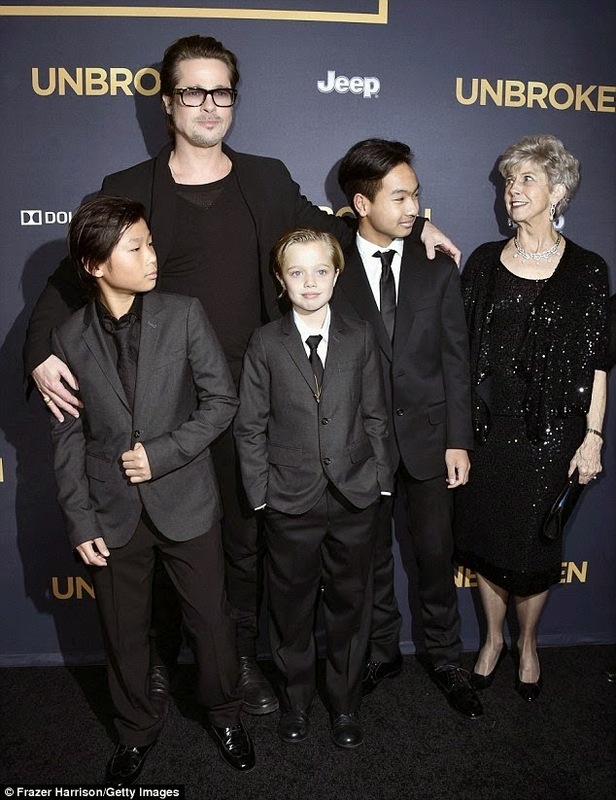 However, the 7 year old, as pictured above with her dad and brothers at the premiere of Unbroken last night, prefers to be one of the boys. 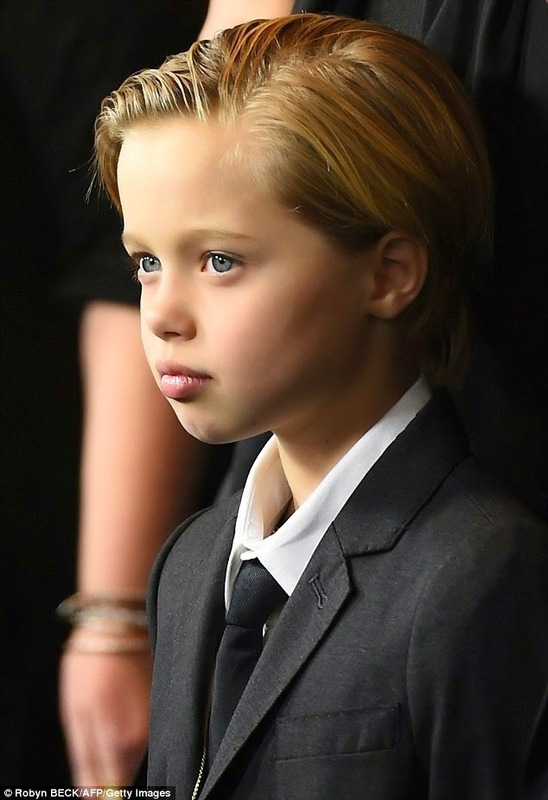 Shiloh rocked the androgynous look in black slacks and jacket with a white shirt and black tie, the same as her father and older brothers. It is reported that her unique and androgynous style started when she was much younger and used to perplex her conservative Republican grandmother. Jane Pitt, who attended the event with her son and the kids, must have gotten used to it by now. It was around the same age that the little girl began to say she would only answer to the name John. Makes me wonder if she'll grow out of it, or this is the beginning of a permanent gender change? She's doo pretty. Looks just like her mum.